As small business owners, in order to be successful, we can change. We should change….for the better every day. To change means to adjust or modify. 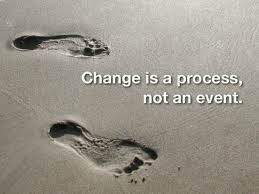 In business, observing carefully to what works and what doesn’t allows you to make changes for the better. By listening to what people say, helps give you information about what you should change. Can you assimilate to what is going on around you? Are you technically competent at what you do and are you getting better at it each and every day? Are you marketing your business so others are aware of the products and services you offer? Are you building your audiences through small and large group networking opportunities and social media using Twitter , Linked In , YouTube, Facebook ABD , Facebook GPP, Foursquare, Google+ ? Are you drawing traffic to your website and to your storefront/home-based business? Being an entrepreneur is different than simply owning a small business. The mindset of an entrepreneur involves the evolution and adaptation of your business to become successful by learning what works. 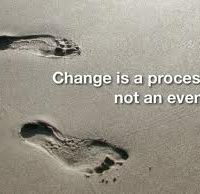 After all, change is a process, not an event. Don’t be afraid of it. Embrace it! Cheryl Ellemberg is the founder of ABD Promotions and the main contributor to the Small Business Marketing Blog. Her experience and networking skills have helped her become a leader in promoting small businesses. With a strong emphasis on critical thinking and problem solving, she continues to help small businesses become successful. She has thousands of followers for Twitter, Linked In, Facebook and Google+. Click on our advertising screen to see what our subscribers have to offer. All subscribers also receive a free article in our Small Business Marketing Blog describing their goods and services, including detailed contact information. Take a look at all of the great stuff our advertisers have to offer at the bottom of this page. Ad Rates For one spot at all Advertising Group locations. Advertisers are guaranteed to receive a minimum of 6 impressions per hour at our high traffic Morgan Hill locations. Located in Gilroy, CA we proudly provide face-to-face services in San Jose, Morgan Hill, Gilroy and Hollister areas. We also manage numerous national and international accounts. © 2019 ABD Promotions. All Rights Reserved.